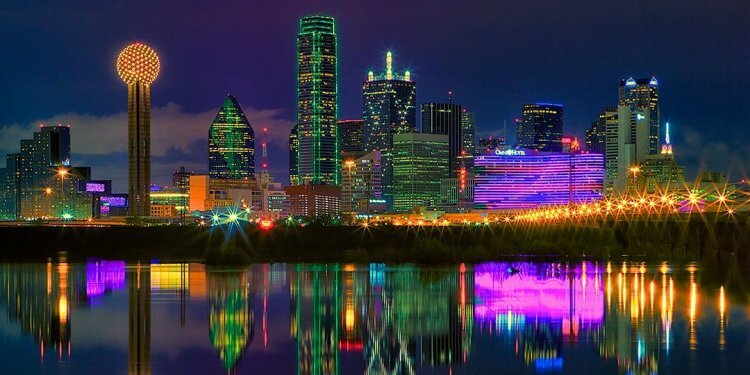 The Dallas/Fort Worth area has always captured people’s imagination, from the 'Big Tex' statue that greets visitors at the State Fair of Texas, to the hit TV show Dallas to the first ever professional cheerleading squad, the Dallas Cowboy Cheerleaders. Dallas has always stood as a symbol of frontier spirit, and Texas’ untamable nature and its strong economy continues to demonstrate that Dallas is a wonderful place to live. At Gehan Homes, we know that your family is unique, and has unique needs from your new home in the Dallas/Fort Worth area. To honor the needs of all families looking for new construction homes in the Dallas/Fort Worth area, Gehan Homes has built our award winning homes in a wide range of neighborhoods across the Dallas/Fort Worth area. If you and your family want to live in a home away from the hustle and bustle of Downtown Dallas, our new homes in Rowlett, Frisco, and Flower Mound are ideal for you. Gehan Homes has new home communities in Dallas proper, Forney, and Heath. No matter what style of living you and your family prefer, you can be assured that you will live in a spacious new construction home when you partner with Gehan Homes. A new home is more than the place you and your family happen to live. A new home is an investment in your family’s future, a representation of your personal style and lifestyle, your retreat from the world and the foundation of your new life. At Gehan Homes, we are honored to provide families with a beautiful new home that is designed to look beautiful and is built to last.